The Mitsubishi Xpander has just been judged as the Car of the Year in the Indonesia, capping off its highly successful launch there. 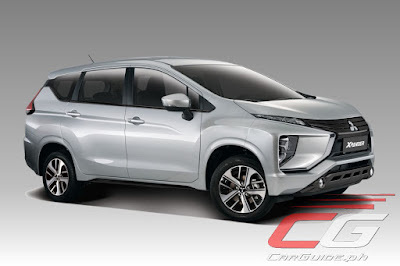 Since the Xpander’s launch last August, Mitsubishi dealers in Indonesia have taken 60,000 orders for the new MPV. Just last month, it ranked among the top 3 best-selling models in the small MPV segment there. In the Philippines, the Xpander is off to a very strong start, garnering more than 1,800 pre-orders in less than 60 days. The Xpander is the first all-new vehicle from Mitsubishi under a strengthened management team and an embarkation of a new growth and recovery strategy. This next-generation MPV offers 7 seats and is powered by a 1.5-liter MIVEC gasoline engine making 105 horsepower and 141 Nm of torque. Offering a balance of performance and fuel economy, it returned more than 20 km/L under unofficial Department of Energy (DoE) test parameters after running more than 200 kilometers. The vehicle is produced at Mitsubishi Motors’ state-of-the-art manufacturing plant in Bekasi Prefecture, West Java, which was inaugurated in April last year by President Joko Widodo. The factory, the result of a US$540 million investment (~P 28 billion), employs 3,000 workers and is capable of producing 160,000 vehicles a year. At that price range, mitsu's interior quality is already acceptable, but when it comes to it's gearbox, they should have made it better, i dont know y the ph spec xpander is just 4spd at, or it's the same with the ones in indonesia? I guess Indonesia has a poor selection of cars in their market if this won the car of the year. Put a 1.5L diesel engine others, including the Innova will die. Guys if you wanted a buy that is SULIT..If you have a PhP1Million Go for KONA rather than a Rush or an Xpander, but if you are really bent on a 7 seater then Xpander is better than Rush. For your PhP1Million You can also take a look at new Ecosport. Is there a subcompact SUV for PhP1Million other than KONA? No brainer on feature for feature comparison. Mistubishi SUVs has marked a name in the Asian market. They are looking for something bigger and bolder to be able to carry their bigger families and be able to fight the harsh weather conditions and difficult terrains.